Breathtaking... this is what you will feel when you will get the unique chance to see the Lake Ashionoko with Mount Fiji in the background. You can even take part in cruising in the lake and engage yourself in admiring the beauty of Hakone. You can come here in the winter season to get a better visibility of the mountain. The serene beauty of this place will compel you to visit this place with your family repeatedly. You can consider a visit here, if you want to see the best amalgamation of lakes, mountain and forests. 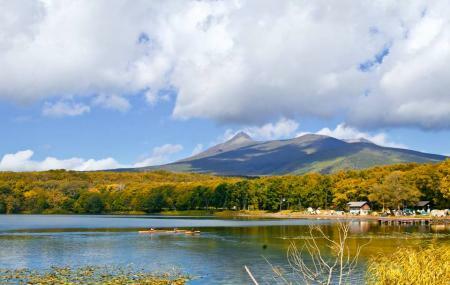 Make your visit suitable to your interest, use Ashigarashimo District trip planner for personalization. You can add cozy hotels in Ashigarashimo District like Suirinso, Senkei and Hotel Marroad Hakone. If you want to add the visit to Motohakone in your trip, you can choose from the variety of Ashigarashimo District vacation packages that can be designed to suit your preferences. These packages also cover your major concern of how to reach Ashigarashimo District. Love this? Explore the entire list of places to visit in Ashigarashimo District before you plan your trip. Fancy a good night's sleep after a tiring day? Check out where to stay in Ashigarashimo District and book an accommodation of your choice.